Some time ago, an American geography professor asked us to prepare slideshows for her classes. She wanted to demonstrate the country’s geography, history, and religious tapestry. 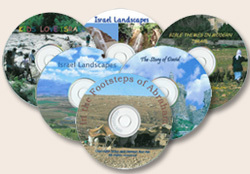 So – we prepared Israel Landscapes. At about the same time, a Hebrew school principal in Philadelphia wanted her pupils to prepare a program about Jerusalem, but lacked both information and pictures. So – we prepared In the Streets of Jerusalem. IN PREPARATION: The Zionist Guide. We can send you samples by e-mail. Please contact us with your name, position, and questions or requests.